Gauley River by Kent Mason. In late May, the Army Corps of Engineers (ACOE) suspended the Mountain Valley Pipeline’s Nationwide 12 permit to cross 4 major rivers; the Elk, Gauley, Meadow and Greenbrier. In WV, a special condition of the Nationwide 12 mandates that the company complete the crossings in under 72 hours. But in communication with ACOE, MVP stated that construction would take 4 to 6 weeks. In response to this discrepancy, WVDEP said they are considering waiving the special condition to allow MVP the additional time to needed complete the crossings. This drastic increase in construction time was never mentioned in MVP’s Environmental Impact Statement (EIS) and the impacts were never studied. 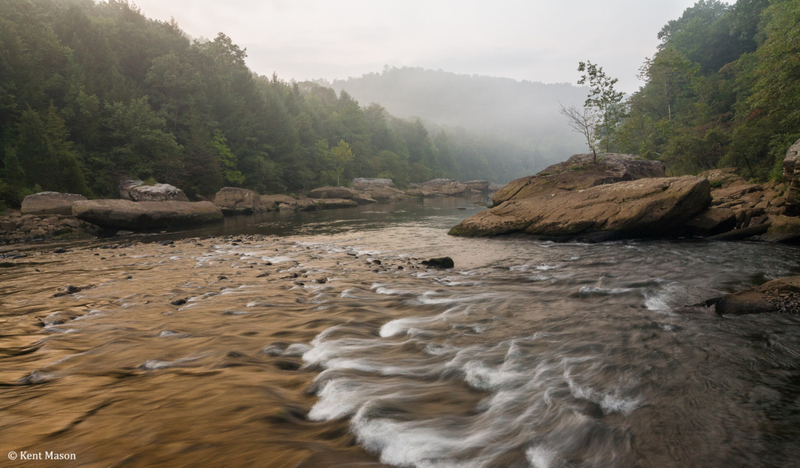 MVP’s inadequate permit raises a number of concerns for the water quality of the Gauley and the other rivers and tributaries the MVP will cross. Drinking Water. The Gauley River is the drinking water supply for Summersville and the surrounding region. The drinking water intake for Summersville Municipal water, which serves over 8,000 people, is approximately a half mile downstream of where MVP proposes to cross the Gauley River. The 4-6-week long duration of construction in the Gauley River will introduce excess sediment into the source water, which can reach the intake in under 5 hours. Increasing the turbidity of source water creates significant treatment challenges for water utilities. Turbid water harbors bacteria and other biological organisms that are hazardous to human health. Recreation. Recreation and tourism will be affected if four of our most popular rivers are occupied by pipeline construction equipment for over a month. In MVP’s EIS they stated, “Apparently, the Gauley is not used for recreation at the crossing location.” However, a popular swimming hole is located just upstream from the crossing and an access road is very close by. Recreation will be hindered by the presence of an active construction site and sedimentation from the access road. Aquatic Life. WVDNR recently issued a fish spawning waiver to MVP for 228 warmwater streams which allows in-stream construction during the warmwater fishery spawning season, April 1-June 30. One of the 228 waterbodies was the Gauley River. Since the waiver for the construction duration and the waiver for the spawning season restriction have been under review by the agencies simultaneously, it is unclear whether DNR took the increased construction duration into consideration when issuing the spawning waiver. Not only will the construction last over a month, but it will be allowed during the most sensitive time for the aquatic life inhabiting that river. Candy Darter. The Candy Darter; a fish that US Fish and Wildlife has proposed for the Threatened and Endangered Species list calls the Gauley River home. MVP’s EIS states that because construction would adhere to the time-of-year restrictions they would not impact the Candy Darter. However, no one has investigated what impacts increased construction activity during the spawning season will have on the Candy Darter. Violations. The impacts to drinking water, recreation and fisheries are compounded by the fact that the erosion control measures are inadequate for these large pipeline construction projects. In the last several months DEP has already issued three violations for pipelines currently under construction; two on the Mountain Valley Pipeline and one for the Mountaineer XPress Pipeline. DEP’s inspectors have found that erosion control measures are not being installed properly and the best management practices approved in their permit are not implemented as required. Furthermore, as written, the Stormwater Pollution Prevention Plan is insufficient and will not protect streams from pollutants. Get involved! You can detect and report water quality impacts from pipelines through our volunteer visual assessment program. 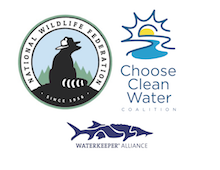 Make a tax-deductible donation to WV Rivers and help us stand up for our waters! June 2018 The reaction to this one isn’t income, perhaps supposing it’s.